Active Tiling Services has been operating in the North East of England since 2005 and built an established business through quality workmanship. I am professional, reliable and take pride in my work and provide the highest standard for your tiling needs at a competitive price. All aspects of wall and floor tiling under taken, contact us now for a quote. Underfloor heating is a great way to heat your home, contact us now for an installation quote. Take a look through the wide range of tiling & full refurbishment jobs we've complete all over the northeast. 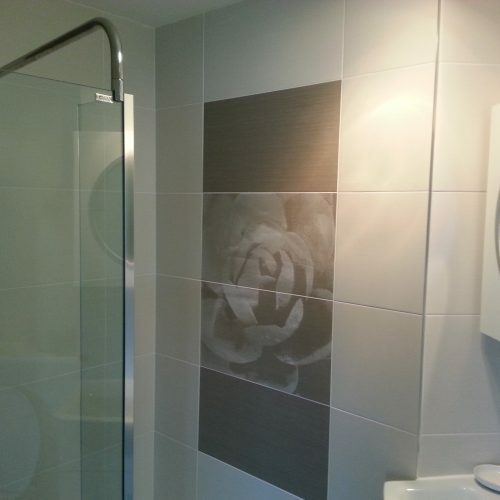 Wall & floor tiling of bathrooms, kitchens and commercial properties. ” Scott has done an amazing job tiling my kitchen splash back. He was able to fulfil all tasks that I want to be done to a high standard. He is prompt, flexible, reasonably priced and highly professional. I would highly recommend for any tiling job. “An excellent job just completed by Scott. Punctual, reliable and professional service. I was updated at each stage of the work and the job was completed in the time frame he said and exactly as quoted, no hidden surprises.